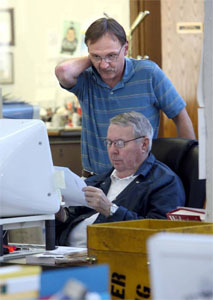 To hear the story of the Arkansas Democrat-Gazette, click the images below. 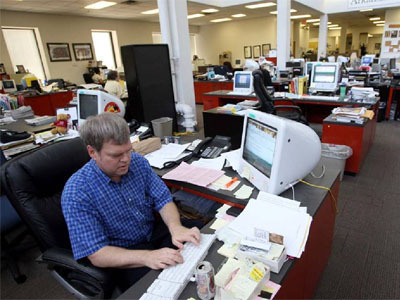 Staff members in the Arkansas Democrat-Gazette newsroom in downtown Little Rock, Ark. 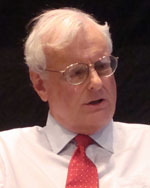 In 2008 when Editor & Publisher named Walter Hussman Jr., Publisher of the Year, E&P called him a contrarian in an age of news industry conventional wisdom. E&P gave him this label because rather than strategically shrinking circulation to reduce overhead, the Democrat-Gazette maintains its ambition to be a state-wide newspaper. 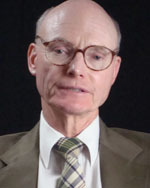 Chittum coined the phrase: the “Walter E. Hussman Jr. Theorem.” “By charging online,” Chittum wrote, “[Hussman] drives readers to the (profitable) print newspaper.” Circulation at the Democrat-Gazette has remained steady, and the paper has suffered less loss of ad revenue than did many newspapers during the 2009 recession. 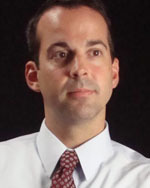 Paul Smith, president of the Democrat-Gazette, says that current digital revenues alone could not support a quality news operation, and Smith and his colleagues don’t expect digital revenues to match print revenues any time soon. 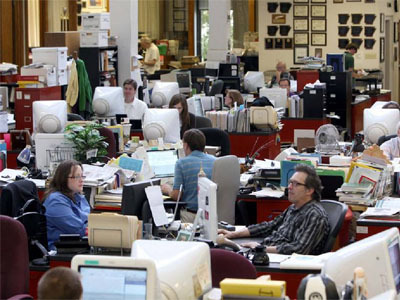 The burning questions for Democrat-Gazette managers when considering innovation are: Will it help readers and advertisers and is it cost effective? In an age of splashy front pages, the Arkansas Democrat-Gazette takes a more conservative approach to layout to get more news into the newspaper. Instead of a front page with 3-4 stories, splashy graphics, and lots of open white space, the Democrat-Gazette will run 5-6 story heads, fewer graphics and column lines, which create a more somber appearance. But the tradeoff delivers more content on the front page and inside there is plenty of news on each page, weekday or Sunday. 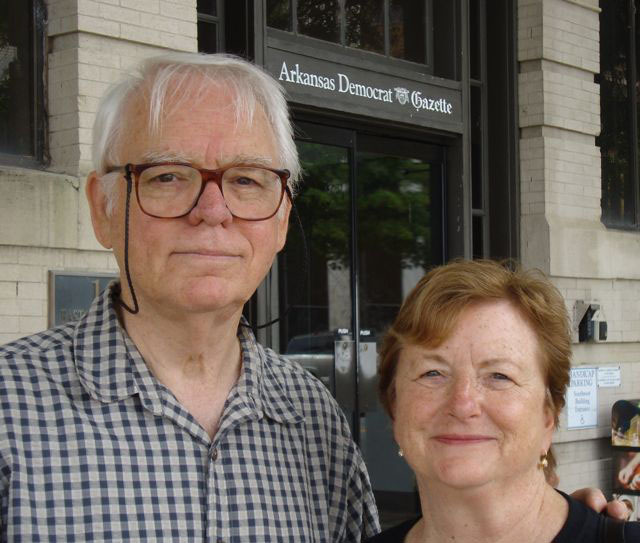 Walter Hussman Jr. describes the philosophy behind his newspaper’s paywall, and its goal to be the paper of record for Arkansas. In the “Story of the Newspaper” section, Hussman talks about the tradition of newspapering in his family and the newspaper war in 1991 between the Arkansas Democrat and the Gannett-owned Gazette, which ended with Gannett selling the Gazette to Hussman. 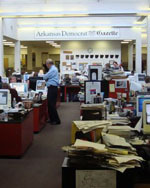 Conan Gallaty, online director, debunks the theory that the Democrat-Gazette’s paywall strategy only works because Arkansas is not in the main stream of the USA. And the Democrat-Gazette’s Executive Editor, Griffin Smith, has selected a sampling of the newspapers best enterprise reports from the past year.